At Sandton Enterprises we go the extra mile to make sure the individuals we serve are cared for. We want you to know that you can put your trust in us. It is just as important to us as it is to you that you and your loved ones are happy. We work with your Waiver Support Coordinator to make sure that all of your goals are achieved We know if we all work together that we can help to make you smile and live a happy life. Call us for your home care needs. We are here to help you with supported living arrangements many individuals, even those with severe disabilities, are able to live in their own homes, control their lives and become part of their communities. 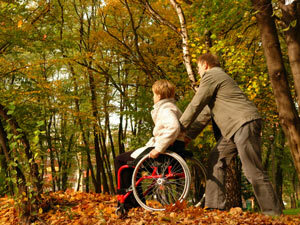 What are some of our responsibilities as a supported Living Coach? Activities include assistance with the procurement of housing, financial management and banking, cooking, cleaning, shopping, personal care, personal relationships and community connections to mention few. 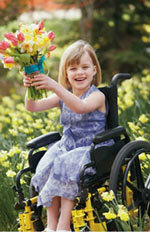 Supported Living coaching may be initiated up to 90 days prior to moving into the home of your choice. As Supported Living Coaches we also provide emergency response services. Supported Employment is provided to help people find and keep competitive employment within their communities. Supported employment programs are staffed by our employment specialists who are here to help guide you in your employment. We want you to succeed and reach your full potential as you work at your job. together we can make this happen. Hillsborough County in APD area 23 Suncoast Region. Hi, WSC! We want you to know that we try hard to work with you and to make sure we are all on the same page. By talking, sharing information and ideas. We all work hard. By working hard together we will make the lives of the people we serve better and show them how much we all care about them.